If becoming a trustee has ever crossed your mind, this is for you. 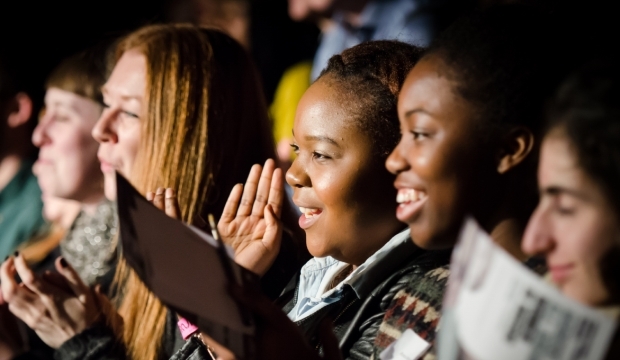 Young trustees bring zeal, fresh thinking and ensure the Roundhouse truly connects with the audiences we serve. We believe a trustee board should represent the people they serve. And for us, that means young people. Which is why this trustees’ week, one year on from the launch of our Youth Governance Guide, we spoke to young trustee Ayesha Charles, co-founder of the Roundhouse Trust Caspar Norman, head of Communications at Universal Music Jonathan Badyal, producer, songwriter and musician Spider J and Sam Oldham, our Commercial and Operations Director, to discuss the impact and importance of young trustees. What advice would you give to a young person considering a trustee role? Some of our trustees: Caspar Norman, Ayesha Charles, Spider J and Jonathan Badyal. Ayesha: Just do it! Get involved you won’t regret it. Being a trustee allows your opportunities to broaden while building up your own person belief and confidence. It is a no-brainer. Caspar: Make the most out of it – it’s a brilliant opportunity to understand how an organisation is run, to make useful and interesting contacts and it looks great on a CV. Where else can you get this experience? Do your homework, ask for individual meetings with fellow trustees, embrace all aspects of the organisation and make your voice count. Have fun. Sam: Think about what YOU bring to the role and don’t be afraid to use your own voice. What is the best thing about being a trustee? Ayesha: Knowing that you are truly adding to the ever-changing programmes on at the Roundhouse, making sure that outreach to people like yourself is achieved rather than merely hoping. Caspar: Sharing a purpose with some terrific, experienced and inspirational people. Supporting and contributing to a great team and an organisation you feel proud of. Spider J: Helping young people to have a voice would be at the top of my list. Providing information & clarity in my area of knowledge i.e. Young People expressing themselves creatively using music & spoken word art forms. Sam: Being able to make a difference. What have you learnt from having young trustees on the board with you? Caspar: How together, driven and mature some young people can be. It creates a greater link between the organisation and the trustee board. Spider J: Young Trustees are The FUTURE ! They may be humble or may not even realise how important their opinions are but they have brilliant ideas & can offer lots, given a platform. They make you feel proud because they just ‘get it’. Sam: That I wish I’d had had the confidence to be as brilliant, open and innovative as they are when I was their age. 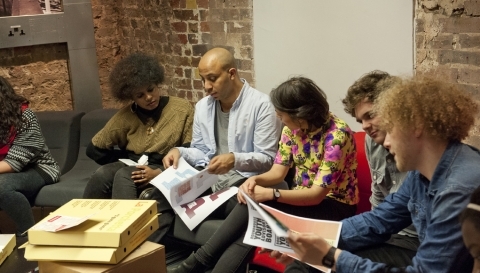 Read more about our youth governance guide created in partnership with Arts Council England.